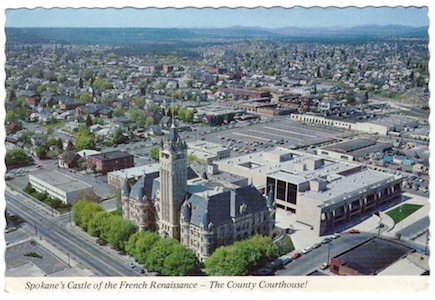 The building you are currently standing in front of is the Spokane County Courthouse. Although it looks like an old, romantic European castle, it is actually the place where the county's first public hanging took place. On March 30, 1900 George Webster was hung in the courthouse courtyard for the murder of a woman in 1897. 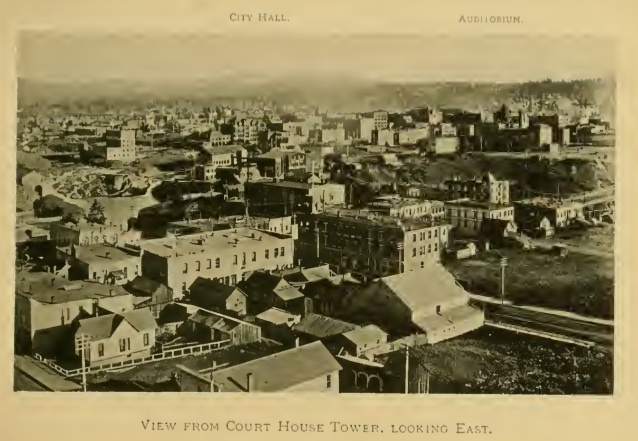 In 1893, ground was broken to build the new courthouse, hoping to stimulate the economy after the financial panic of that year. The Board of County Commissioners opened a design competition, and a prize would be awarded for the best plan. The winning architect was a 29-year-old named W. A. Ritchie. In spring of 1894, building began, using locally manufactured brick for the walls and imported slate shingles for the roof. However, it wasn't all smooth building from then. In March 1895, construction was suspended due to a disagreement between Richie and the superintendent of construction. Despite this hiccup, the building was finally finished and all officials moved in my November 20, 1895. Many say that the courthouse closely resembles two 16th century chateaux in France, the Chateau de Chambord and Chateau d'Azay Le Rideau. French Renaissance design is obvious with its grand towers and beautiful craftsmanship in the iron and brickwork. The center tower is now lighted at night, and the entire building is considered a masterpiece. In 2006, the center tower was renovated and the roof was replaced. The total cost of renovation was about $2,000,000 with half of the money coming from a state grant from the Department of Archeology and Historic Preservation. Today, the courthouse houses the offices of the Board of County Commissioners, Assessor, Treasurer, Auditor, Clerk, and Superior Court Courtrooms, offices, and support services. 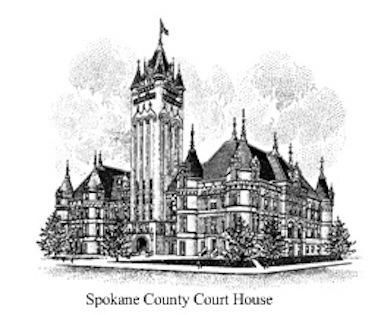 Spokane County Courthouse: no credit provided for this image. 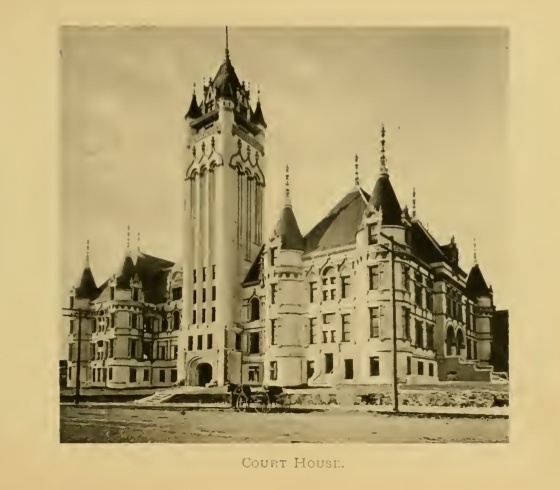 Jaime Mahoney, “Spokane County Courthouse,” Spokane Historical, accessed April 20, 2019, https://spokanehistorical.org/items/show/197. 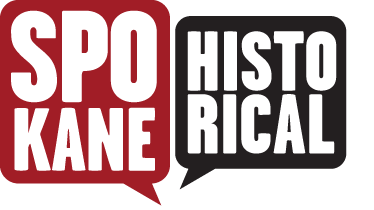 "American Legion Partners From All Parts of the State Converge Upon Spokane." Spokane Daily Chronicle, August 16, 1939, p. 3. Accessed May 21, 2012. http://news.google.com/newspapers?nid=1338&dat=19390816&id=X-FXAAAAIBAJ&sjid=PfUDAAAAIBAJ&pg=7347,3381878. Historic Preservation Heritage Walk. "Spokane History ." August 16, 1939. Accessed May 21, 2012. http://www.historicspokane.org/HeritageTours/downtown/history.html. Forte, David and Kolva, H.J. "Jim". "National Register of Historic Places Registration Form: American Legion." National Park Service, December 19, 2002.